and creatively through the change process? Gain access to a rabbit-hole of resources. Specially selected by our contributors. Fast-track your learning by completing activities. Comment. Blog. Share experiences. Complete activities. Complete a mini-survey. Each step earns you more points, status and entry into reward draws. Engage, learn, share and earn points. Join up and get started. Find fascinating content, resources and opinions. The field of learning is never a static one, new thinking and content is becoming available all the time and whilst we’ve pulled some great content together for the book which you’ll find on our resources page, be on the lookout for new content and thinking as we continue to learn. Please let us know if you come across material/thoughts/content that you feel would be relevant to any of the sections listed. 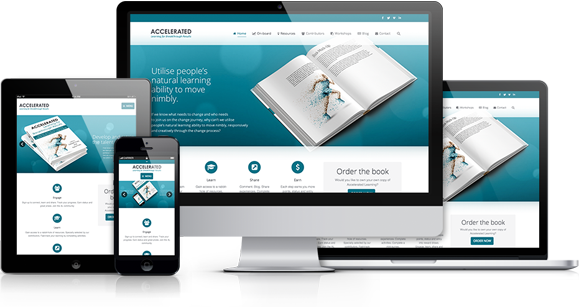 Would you like to own your own copy of Accelerated Learning? Copyright Accelerated Learning 2014. All rights reserved.